Spotted March 10th 2013 by Australia using name Hongshui at 12°44’south, 101°33’east at 0439 GMT, heading 11° at 6 knots. Changed name July 2013 to Chang Bai. Detained in Malaysia April 2014 under new name Tai San. Detected fishing illegally in the CCAMLR area 7 January 2015. 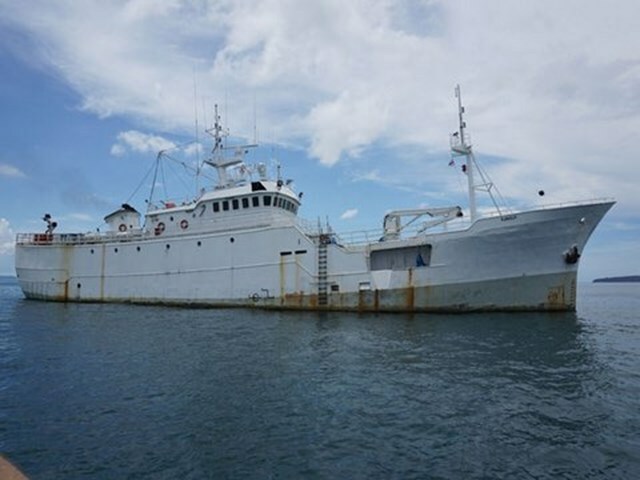 An Interpol Purple Notice was issued for this vessel 21 January 2015. Believed to be fishing in conjunction with vessels YONGDING and SONGHUA, which were detected in the same area. Stern marking and information provided by the Master indicate the vessel was flagged to Equatorial Guinea. The vessel refused boarding but handed over papers – there are questions regarding their authenticity. 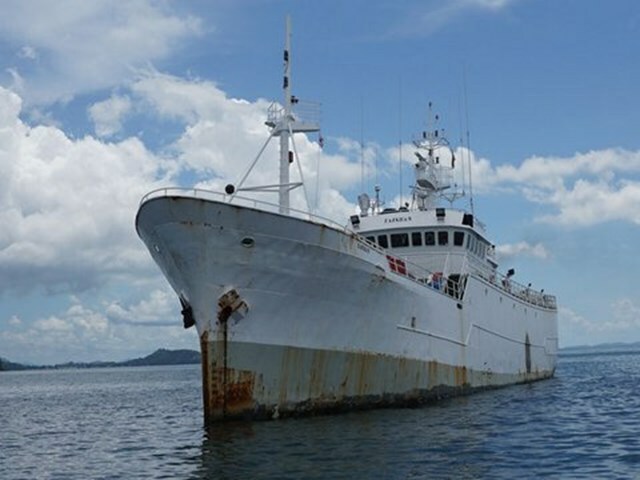 The vessel was detained by Thailand in March 2015, at which point it was reported to be falsely claiming an Indonesian flag and operating under the name TAICHAN or TAISHAN (unverified). The vessel absconded from Thailand in September 2015. The vessel was reported to have arrived in Dakar around the 28 November 2015 (operating under the name ASIAN WARRIOR) and was detained by Senegal in January 2016. The crew of six, which included three Spanish nationals and one Ukrainian citizen departed Senegal before the vessel was detained. It has been indicated that a number of documents presented by the vessel appear to be forged. The vessel was reported to have been confirmed to be stateless in early February 2016. Current Owner High Mountain Overseas S.A.
2018-04-16 High Mountain Overseas S.A.
2003-11-24 2004-02-24 Vidal Armadores S.A.
2006-03-03 2008-01-01 Vidal Armadores S.A.